Like how Ezaki Iwiakichi was the pupil of Kikuo Fujimoto, Keiji Fukuda was the protégée of Yuzuru Hiraga and hence many aspects of what Hiraga deemed necessary in a battleship appeared in Fukuda's designs as well. Like Ezaki, Fukuda too draw up designs of battleship with all diesel propulsion but he proposed at least 3 variants before chosen to work on the largest battleship of all time, the Yamato class battleships. These 3 variants are reminiscent of the Kongo regalement designs of Hiraga from 1928/29 regarding armament, size and displacement. A 28.000ton variant with 3 tripe 36cm cannons, a 35.000ton variant with 3 triple 41cm cannons and an 55.000ton variant with 3 triple 46cm cannons. All of these designs featured heavy armour and good secondary armaments for their size though not fast vessels. 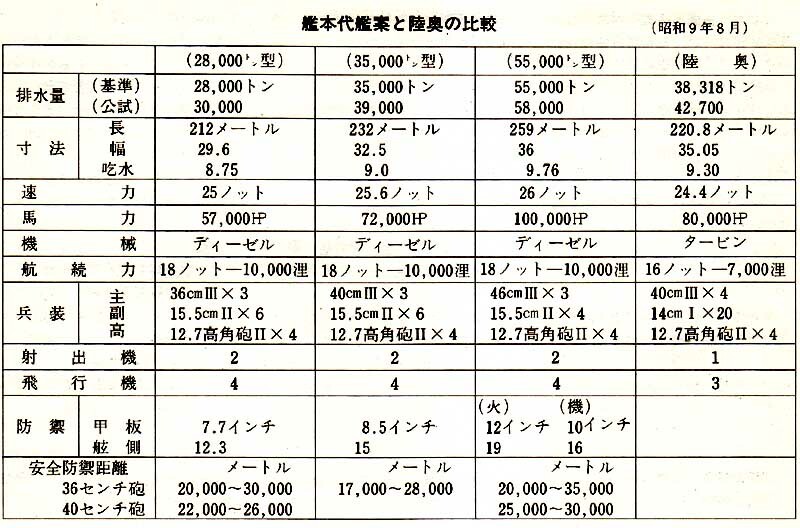 It seems Fukuda was better calculated the speed and engine power of these designs because while the largest design was 5.000tons heavier than Ezaki's slow variant the required engine power was 1/3rd less and the speed was 26knots as designed. As there were no drawings or sketches seem to survive the many decades only the data on the designs Fukuda prepared I have to think of a ship which somewhat resembles the Yamato preliminaries yet still different than of those and this is what I finally able to create.